A post on Orc, by Thee Oh Sees – arts, ink. 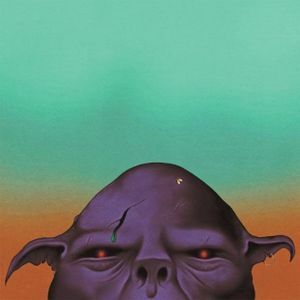 Orc is a 10-track, 50-minute psych rock album from American rock band Thee Oh Sees (or Oh Sees or OCS or The Oh Sees or The Ohsees or… any other of its many monikers). It was released mid-2017 and has become a record I consistently return to for the aggressive, driving momentum of its roaring, energetic guitars, as well as the funky earworm melodies and the serene moments of respite that the tracklist offers. The album is concise, with rarely wasted track time, but is also sonically creative and diverse all throughout its length. It’s ultimately the consistent dynamism, and the varying moments of full-blown noise versus more laid-back composure that keeps Orc from ever becoming stale, and makes it a very fun, listenable album from start to finish. An orc, in fantasy genres, is usually depicted as brutish and ugly – a malevolent, chaotic force gripping tight his bone club among thousands of others, exactly like him, on some medieval battleground, recklessly storming the castle while the protagonists of the film/game/book use their superior wit, combat training, and socioeconomic status to defeat the stupid horde of beasts, driving them back to their craggy, violent homeland. Life is tough for the orc, whose expendability is a defining feature of their battle-driven identity, and perhaps underneath his tough, bellicose exterior is an individual, responsive and aware of his simple existence. But probably not. Certainly, Orc doesn’t challenge the notion that orcs are inherently primal, evil creatures, but the perspective it explores – that of the viewpoint from the purple, bleeding beast of the cover – is fun in its aggression, and well-represented sonically, with brutal war anthems like “Animated Violence,” and also some of the minutiae of life in “Cooling Tower,” which I think is hilarious to imagine as our orc coming back from a bloody battle to destress in some medieval bath house. The intro track, “The Static God,” immediately opens with these screaming guitars, a noisy, grating effect that’s thoroughly blood curling and adrenaline fueled. A groovy bassline introduces some high-pitched, beast-like vocals, squealing about “tuning in, addressing an urge…” like our orc is purely acting on his necessary impulse for violence. The breakneck beat of the drumming is the driving force throughout this track and many others, constantly providing an exciting and catchy rhythmic backbone for the guitars to wail away with. “Animated Violence” is perhaps the most raw and heavy track, where a ripping guitar floods the headphones, before breaking off into a calmer synth passage that sounds like we’ve left the frenzied chaos of the main battlefield and just entered the dank castle dungeons. “Keys to the Castle” is by far the most unique track, where the first two minutes start out exuberant and bright, before suddenly escaping our established sound and plunging headfirst into a six-minute passage where a viola replaces our guitars as the main melody. The strings are sultry and rich, and our soloist continues to paint a mystical, enigmatic scene. This track is great – I imagine that we started out in the typical forest-side castle siege, and are just unexpectedly thrown into the heat of the desert, experiencing dehydration and having its illusory effects begin to kick in. “Raw Optics” is another favorite of mine, where a breakaway drum solo characterizes the majority of the track, coming across as quieter and “sneakier,” a foil to our thunderous, spotlight-stealing guitar. I’m a big fan of how rhythmic the entire album is, and how punchy and energetic the performances are as a whole. All-in-all, Orc is a very consistent and enjoyable work of psych rock. I’d strongly recommend it to those who can tolerate noise or are into the loudness and excitement of this kind of garage rock.